Not every character we draw represents beautiful girls. Sometimes, stories demand other things. We will draw an overweight man. 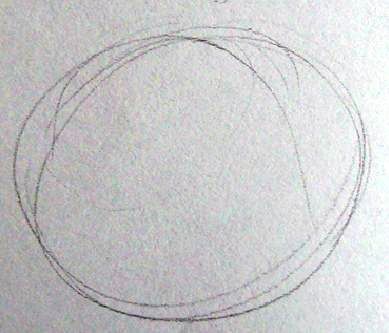 As always, I will begin with the skull; a circle. Using this basic shape, I will complete my drawing. His chin is small and round. He also has round cheeks.